Dr. John R. Shook is a philosophy professor living in the D.C. region. He currently teaches philosophy at Bowie State University in Maryland. Dr. Shook has published extensively across the history of American philosophy and American intellectual history. Among his books are Dewey's Empirical Theory of Knowledge and Reality (2000), Pragmatic Naturalism and Realism (2003), and The God Debates (2010). His edited volumes include the Dictionary of Modern American Philosophers (2005), the Dictionary of Early American Philosophers (2012), Historical Essays in 20th-Century American Philosophy (2015), and The Bloomsbury Encyclopedia of Philosophers in America (2016). Dr. Randall E. Auxier is a professor of philosophy and communication studies at Southern Illinois University, Carbondale. He was the editor of the Library of Living Philosophers 2001-2013. He edited the journal The Personalist Forum 1997-2006, when he and John Shook transformed it into The Pluralist, and he remained Editor in Chief until 2012. Dr. Auxier authored Time, Will and Purpose (2013), Metaphysical Graffiti (2017), and co-authored The Quantum of Explanation: Whitehead's Radical Empiricism (2017). 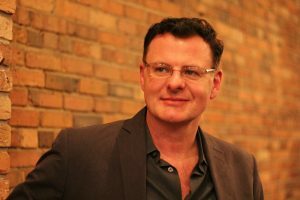 His edited and co-edited volumes include God, Process and Persons (2000), Critical Responses to Royce (2000), Bruce Springsteen and Philosophy, and The Wizard of Oz and Philosophy. He and John Shook oversee the American Philosophical and Cultural Thought book series, State University of New York Press. Dr. Larry A. Hickman is emeritus director of the Center for Dewey Studies and emeritus professor of philosophy at Southern Illinois University Carbondale. He edited the four volumes of The Correspondence of John Dewey, (1999, 2001, 2005, and 2008). 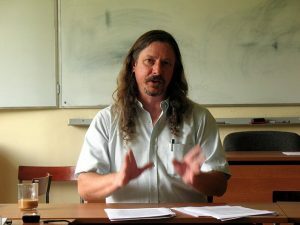 Dr. Hickman is the author of many books, including John Dewey's Pragmatic Technology (1990), Philosophical Tools for Technological Culture (2001), Pragmatism as Post-Postmodernism (2007), and Living As Learning: John Dewey in the 21st Century (with Daisaku Ikeda and Jim Garrison, 2014). 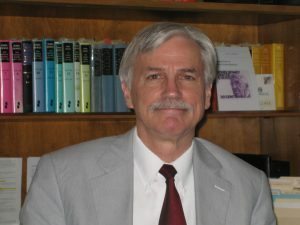 His edited and co-edited volumes include The Essential John Dewey (1998), Reading Dewey (1998), and John Dewey between Pragmatism and Constructivism (2013). Located in Murphysboro, Illinois (near Carbondale and Southern Illinois University), the AIPCT is a scholarly institution with an educational and cultural mission. The Institute was conceived by John Shook (now the President) and Randall Auxier (in whose large Victorian home the Institute is presently based) during conversations about the future of the humanities. AIPCT activities take up some of the functions of the Center for Dewey Studies, which has been greatly diminished by funding cuts and changes in the focus and energies of SIUC. The continuation of some of the work of the Dewey Center is one reason why our inaugural address is given by the Director Emeritus of that distinguished Center, Larry A. Hickman, who is also a member of the AIPCT Board. The recent past has been difficult, but we are looking to the future. We think the humanities are doing poorly at present in our institutions of higher learning, and are not likely to do well in the foreseeable future, due to the corporatization of the universities, and to the widespread tendency in our culture to undervalue humanistic learning. So we are creating a space for humanities and humanistic thinking (including religious humanism) that does not depend on the university system, or on the largess of administrators. We intend to embrace technology in all of its forms while also conserving and preserving important materials. Because Southern Illinois is already known around the world for its holdings and research in American thought, we are specializing in that. We have already gathered some 25,000 volumes, including many journals. This collection of books and papers come as gifts from the a number of living supporters, such as Richard T. Hull, Douglas R. Anderson, Carl Hausman, and members of the Board, along with generous gifts from the estates of over a dozen distinguished professors. These include books and papers from Charles Sherover, John Howie, Warren Steinkrauss, H.S. Thayer, V.T. Thayer, Abraham Edel, Howard Radest, Creighton Peden, Ahron Opher, and Jo Ann Boydston, among others. There are many first editions and rare books, as well as important papers and correspondence. AIPCT will have on-line classes and we will host events regularly, including seminars, workshops, lectures. The space will be available for appropriate receptions and other events of a cultural nature. There will be concerts occasionally. We also have a resident fellowship program (and our first resident fellow is already at the AIPCT for 2016, Thurman Todd Willison from Union Theological Seminary in NYC). There will be a visiting scholars program as well. The AIPCT is not equivalent to the house. The Institute is the books, the papers, and the programs. We anticipate growth and could move elsewhere if needed, in the future, in order to expand. The AIPCT is incorporated as a non-profit institution in the State of Illinois and is recognized as a Federal 501 (c) (3) Private Foundation. The house itself creates a pleasant setting for research and functions, but is a separate entity, eventually to be incorporated and set on the National Register of Historic Places, with a different Board and a different mission. It has an art collection and is itself an architectural and artistic treasure.